Digital currency when first introduced back in 2009, with the advent of Bitcoin had created a storm in the global financial world. A wave of digital currencies derived from Bitcoin and Ethereum went through harsh times due to various reasons, such as volatility of digital currencies and frauds taking place at every level of operation. Cryptocurrencies survived a rough journey back in 2018 when Bitcoin prices took a nosedive and reduced to almost 70% between December 2017 and February 2018. Billions of dollars were depreciated in a matter of days due to this epic crypto slump. As Bitcoin hit its lowest-ever, millions of newcomers entered the digital currency scenario and bought Bitcoin and some other well-performing cryptocurrencies. This boosted the popularity of cryptocurrencies and made it a rewarding experience for traders all over the world. Recommended: What are the best cryptocurrencies to invest in right now? Regardless of how Bitcoin is called a ‘bubble’ which is ready to pop anytime, it has held its ground since 3rd January 2009 when it first made its debut. Apart from Bitcoin, the frontier of digital currency expanded to Ethereum, Litecoin and then Ripple (XRP) who are still among the top 5 cryptocurrencies as per market capital, price and circulating supply. In recent years, the currencies have traversed a hard and long way to reach their current position. Most people have heard of Bitcoin because of its humongous market capital, which is close to $92 billion as per the time of writing. Market capital of a cryptocurrency is derived by multiplying the price of digital currency by its circulating supply. Bitcoin’s market capital influences the global market capitalization figures directly as BTC (Bitcoin) dominates approximately 51.2%. It’s a well-known fact that Bitcoin whales, A.K.A early investors of Bitcoin holding a considerable amount within their wallets influence the circulating supply making the BTC markets dynamics. These anonymous wallets hold a large portion of the total circulating supply. Bitcoin has been forked numerous times to give rise to new cryptocurrencies. The most recent fork occurred in November when Bitcoin’s most popular and successful fork known as Bitcoin Cash hard forked into two separate cryptocurrencies namely Bitcoin Cash SV and Bitcoin Cash ABC. Although most of the bitcoin forks have a negligible presence on top exchanges, Bitcoin Cash is an exception. Through the years, Bitcoin Cash has expanded its adoption among merchants based across the globe. There are currently thousands of online merchants as well as e-commerce sites which accept Bitcoin Cash as a mode of payment. The past year came not only with “Crypto Winter” but also with two new classes of cryptocurrencies which were Security Tokens and Stablecoins that received a significant amount of funding from the industry’s top entities such as Circle and Gemini. After the failure of pre-existent stable coin “Tether”, the industry felt the requirement of a better stable coin that had a transparent working model. Stablecoin is a cryptocurrency which is pegged with US dollar so that the value of one token remains approximately $1. Security tokens are the new trend which is being backed by crypto moguls this year resulting in gaining a lot of traction as well as attention. With security tokens, the face of funding a particular crypto project has transformed for the better. ICOs are no longer the mainstream after the advancement of security token offerings (STOs). Across the South African region, there are various legal cryptocurrency brokers which deal in cryptocurrency trading, buying and selling. They offer a plethora of opportunities and profits to users who wish to trade digital currencies using their professional-grade platforms securely. Within the past couple of years, the number of online traders who wish to delve into digital trading assets has increased. Due to this, South African investors have stepped into the cryptocurrency by adding not only Bitcoin but also last year’s best-performing altcoins as well. IQ Option: Being one of the most popular brokers regulated by CySEC and functioning in South Africa, they offer around 13 major cryptocurrencies. CM Trading: Bitcoin, Ripple, Ethereum and Litecoin are the available digital currencies available for trade on the CM trading platform which is regulated by FSB. Ava Trade: Regulated by FSB, which offers Bitcoin, Ethereum, Litecoin, Ripple, Dash, Bitcoin Cash, Monero, NEO, IOTA, Zcash, Qtum for trade. Plus 500: Regulated by FSP offers its members an option to trade Bitcoin, Litecoin, Ethereum, Ripple, Bitcoin Cash and IOTA. Despite its constantly growing popularity, cryptocurrency trading still experiences a lot of backfires and harsh regulations in some countries that deem it too risky to trade and benefit from. 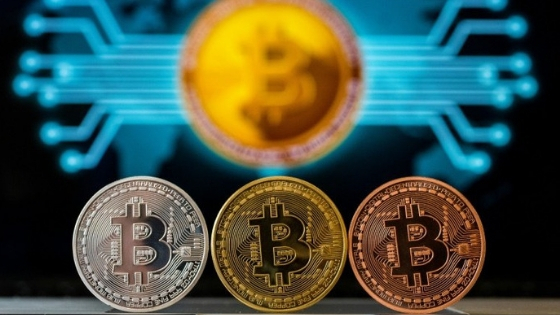 Even in the case of South Africa, SARB has given out clear warnings regarding the risks that come with cryptocurrency trading but there is no law restraining interested traders to invest in and trade with digital assets. If an individual wants to trade in cryptocurrencies then all they need to do is to seek a regulated (generally FAIS), secure and trustworthy broker who deals in digital currencies. How Technology and Gadgets Can Improve Your Trip to Valencia, CA? Jitu Dabhi is man behind HackersOf. He is also running TechTipTrick. He is writing about technology, Android, iPhone, Blogging, SEO and more.